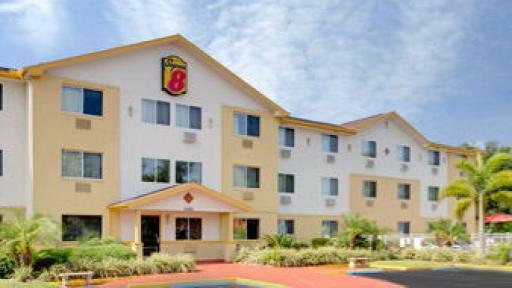 Less than 15 miles from Tampa, Super 8 Clearwater / St. Pete. 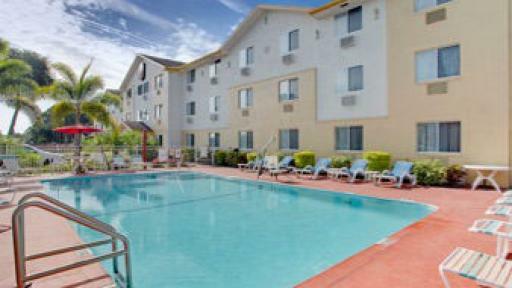 Airport hotel is an ideal home base to explore an array of outdoor adventures. Quick access to Highway 668 makes it easy to reach St. Petersburg - Clearwater International Airport in just minutes and exciting attractions, including Gulf coast beaches and Busch Gardens, are only a short drive away. 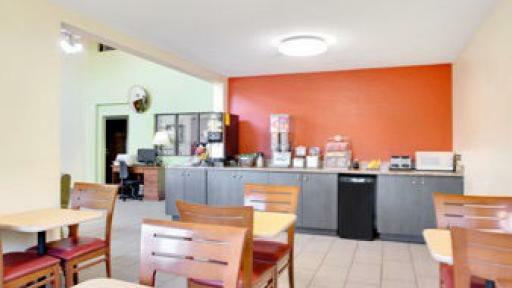 Visit our Clearwater, FL, hotel near Tropicana Field and wake up each morning to free Super Start Continental breakfast. We offer free parking and we are close to shopping plazas, beaches, restaurants golf courses and corporate parks. Take advantage of handy amenities to ease your travels, including a microwave and refrigerator in each room, with several pet-friendly rooms available. 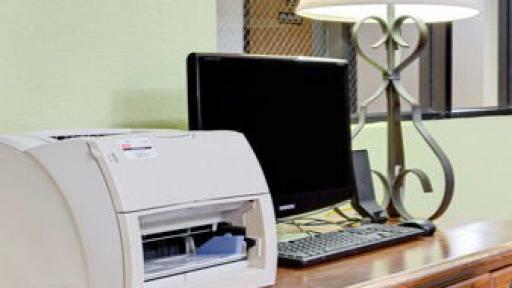 Free Wi-Fi lets you go online from your room or use our business center. Recover after a long day with a swim in our seasonal heated outdoor pool. Kids 17 and under stay free with an adult at our Clearwater, FL, hotel. Dig your toes into white sand and soak up the sun at Clearwater Beach, just minutes from our Clearwater, FL, hotel. Shop, sight-see or just relax at St. Pete Pier, where you can explore an aquarium, charter a marine boat or stroll the boardwalk, just 11 miles away. Pier 60 offers nightly celebrations at sunset, complete with jugglers, magicians, musicians and artisans while Pinellas Trail is 35-mile paved route perfect for biking or skating. Get a dose of surrealism at Salvador Dali Museum or cheer on the Tampa Bay Rays at Tropicana Field, just eight miles from our door. For thrilling rides and amusements, head to the ultimate theme park at Busch Gardens, only 20 miles away. Big Daddy’s Subs and Panchero's Mexican Grill are right next door to our hotel in Clearwater Beach, FL. Dig into thick-cut chops and juicy prime steaks at Bascom’s Restaurant or enjoy traditional family recipes at Little Greek Restaurant. We offer fax and print service. 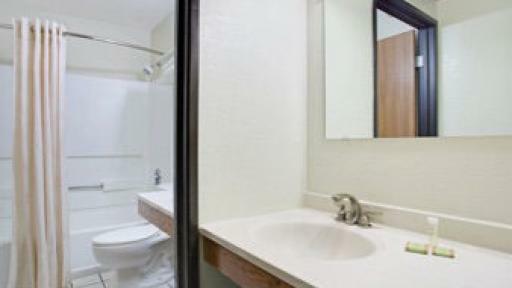 Less than 15 miles from Tampa, Super 8 Clearwater / St. Pete. 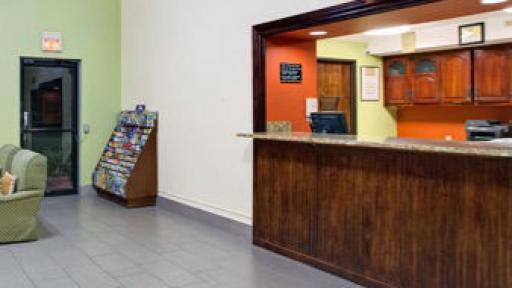 Airport hotel is an ideal home base to explore an array of outdoor adventures. Quick access to Highway 668 makes it easy to reach St. Petersburg - Clearwater International Airport in just minutes and exciting attractions, including Gulf coast beaches and Busch Gardens, are only a short drive away. 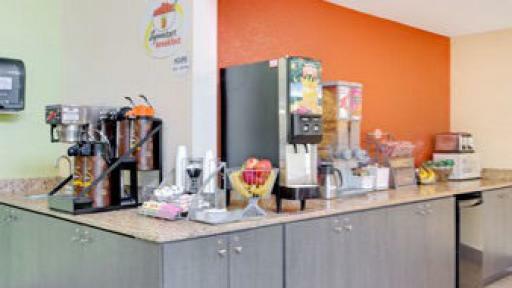 Visit our Clearwater, FL, hotel near Tropicana Field and wake up each morning to free Super Start Continental breakfast. We offer free parking and we are close to shopping plazas, beaches, restaurants golf courses and corporate parks. 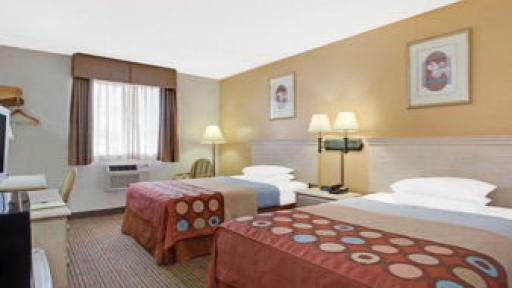 Take advantage of handy amenities to ease your travels, including a microwave and refrigerator in each room, with several pet-friendly rooms available. 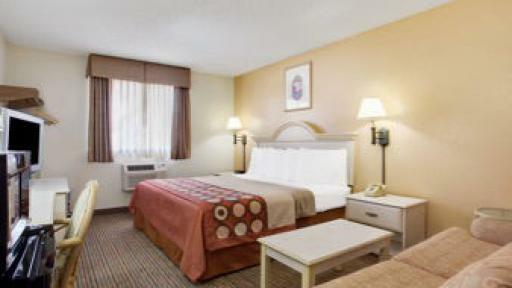 Free Wi-Fi lets you go online from your room or use our business center. Recover after a long day with a swim in our seasonal heated outdoor pool. 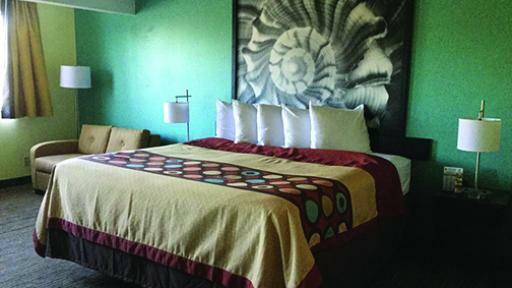 Kids 17 and under stay free with an adult at our Clearwater, FL, hotel. LOCAL ATTRACTIONS Dig your toes into white sand and soak up the sun at Clearwater Beach, just minutes from our Clearwater, FL, hotel. Shop, sight-see or just relax at St. Pete Pier, where you can explore an aquarium, charter a marine boat or stroll the boardwalk, just 11 miles away. Pier 60 offers nightly celebrations at sunset, complete with jugglers, magicians, musicians and artisans while Pinellas Trail is 35-mile paved route perfect for biking or skating. Get a dose of surrealism at Salvador Dali Museum or cheer on the Tampa Bay Rays at Tropicana Field, just eight miles from our door. For thrilling rides and amusements, head to the ultimate theme park at Busch Gardens, only 20 miles away. DINING OPTIONS Big Daddy’s Subs and Panchero's Mexican Grill are right next door to our hotel in Clearwater Beach, FL. Dig into thick-cut chops and juicy prime steaks at Bascom’s Restaurant or enjoy traditional family recipes at Little Greek Restaurant. BUSINESS AND EVENT FACILITIES We offer fax and print service.